This photo was taken almost 9 years ago exactly! 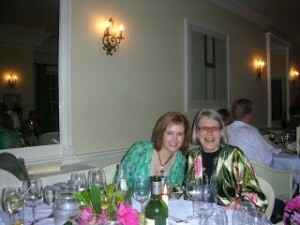 On the eve of the 12 week Ballymaloe Cookery School graduation. “With the Woman Who Started it All” was the name of the post on my blog from back in the day. 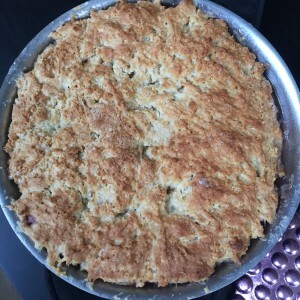 A blog called “Karen in Cork” that was really more like a travel journal documenting my time on the Ballymaloe Cookery School course. I was so emotional about it that I literally only posted this photo. I didn’t add any text whatsoever. Being with this woman and soaking up all her wonderful wisdom, wit and of course recipes, was a life changing experience. How could that be put into words? So the glow on my face was my way to communicate the LOVE! Fast forward to THIS blog and our weekly installment of Woman Crush Wednesday and one might wonder….”Geez Karen, you have done 20 crushes on 20 differently female chefs, aren’t you forgetting one?” Well my friends, I could never forget. 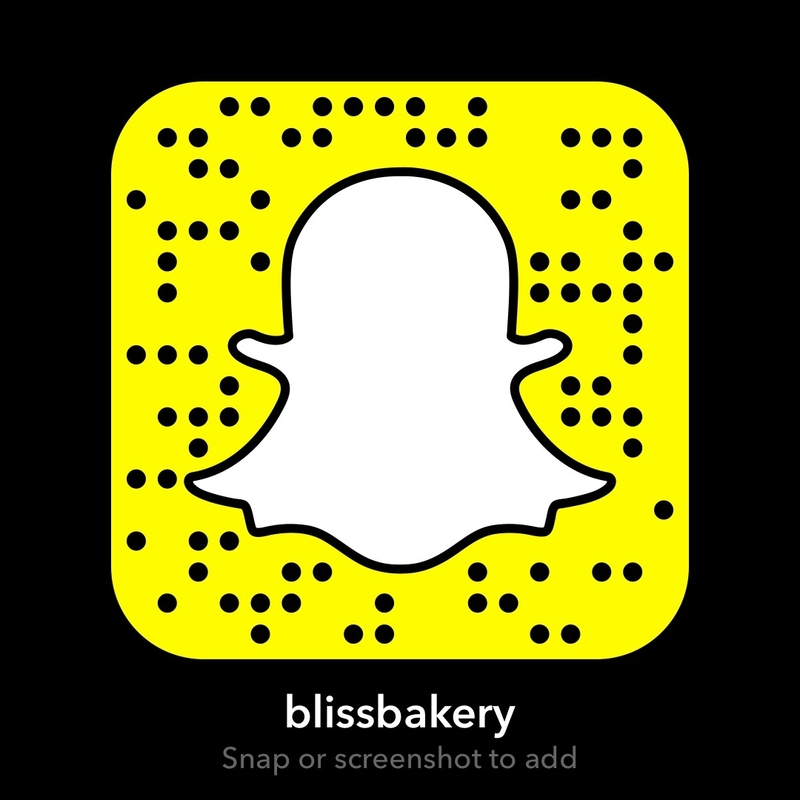 I was just waiting for the perfect opportunity to share with you my infatuation with this incredible foodie. 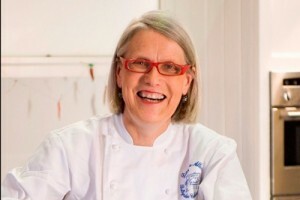 Darina Allen is a national treasure! 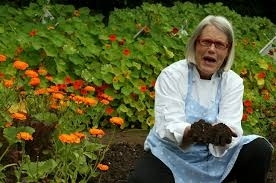 She has literally transformed and guided a culinary movement in Ireland. Bringing attention to the fact that Ireland is leading the world in food ethos and care. It isn’t the quantity produced, but the quality. From ‘seed to table’ isn’t just a clever buzz phrase invented by slick marketing teams, it is the way in which the Ballymaloe Team live their life. 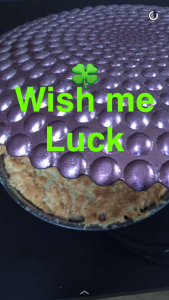 And what better day to choose then the day before the Feast of St. Patrick to share the love for my teacher, mentor, and dare I say idol in the culinary world! When I left the States for the gorgeous countryside of County Cork in Southern Ireland, my American friends asked, “Well if you are going to a cookery school in Ireland does that mean you’re going to learn how to make stew everyday?” What they showed in ignorance, they gained in knowledge once they saw my weekly posts about the recipes, the people, the farm and indeed about Darina herself. Darina started the cookery school back in 1983. Since then she has written numerous award winning cookery books and graced the covers of magazines as well as been featured on television. But what she has created more than anything is a legacy. 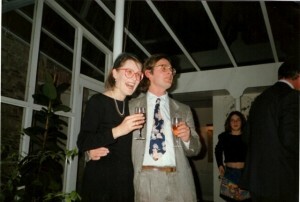 I love this picture of Darina and her husband Tim from 1989. You really get the feeling that they are best friends and partners! A real inspiration! There is a wonderful quote that says something to the effect of “the greatest thing in life is to create something that outlives you”. Obviously the school itself is amazing, and the team that Darina and her husband Tim Allen have put together is phenomenal. It is such a well oiled machine now that she and Tim can actually travel to far away places, such as India, when the school is in fact in session. But when she returns there are always more inspiring cooking demonstrations while she shares her glorious stories about their adventures. However when you look at the number of chefs who have immersed themselves in her teachings and then gone off and left their own mark in the gastronomic realm, then you truly realize the reach that Darina has had. One of her students has even won Master Chef! On top of all that, several years ago she helped found the Ballymaloe Lit Fest. This yearly Food and Wine festival brings together chefs and food writers from all over the globe for a glorious gastronomic and literary weekend. In 2014 I had the pleasure of attending a day of the festival and it was one of the most stimulating and inspiring experiences I’ve ever had. 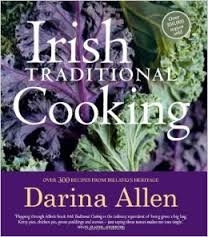 One of Darina’s more recent books is an example of how she is working to keep up the rich traditions of Irish kitchens. Preheat the oven to 230ºC/450º/gas mark 8. 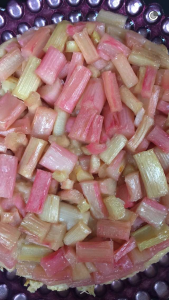 Trim the rhubarb, wipe with a damp cloth and cut into pieces about 2.5cm (1in) in length. Put into the base of your tin or sauté pan and sprinkle with the granulated sugar. Sift all the dry ingredients for the scone dough into a bowl. Cut the butter into cubes and rub into the flour until the mixture resembles coarse breadcrumbs. 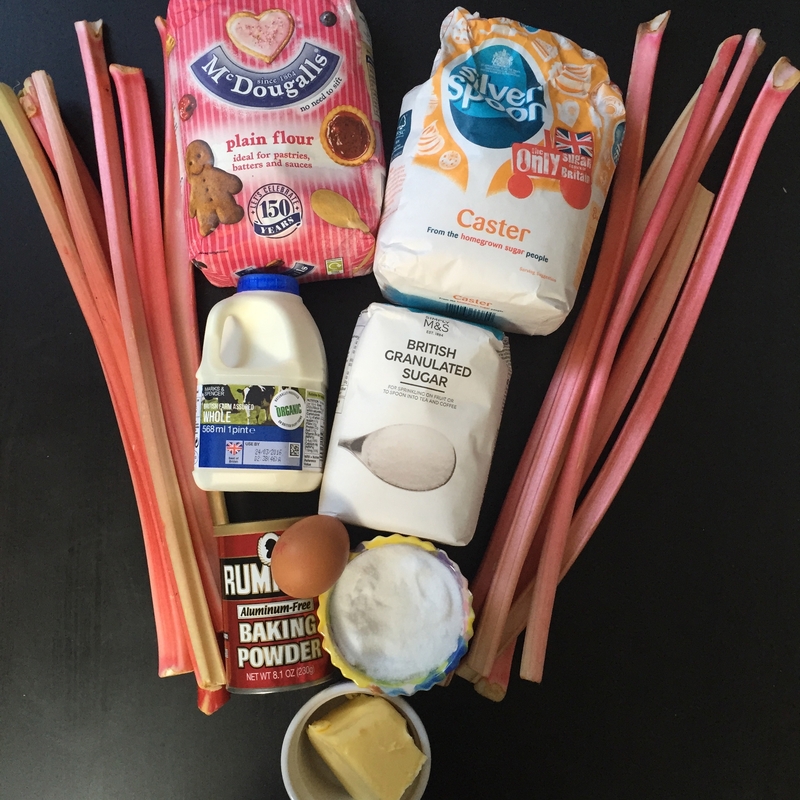 Make a well in the centre of the dry ingredients, pour in the liquid all at once and mix to a soft dough. Turn out on to a floured board and roll into a 23cm round, about 2.5cm thick. Place this round on top of the rhubarb and tuck in the edges neatly. 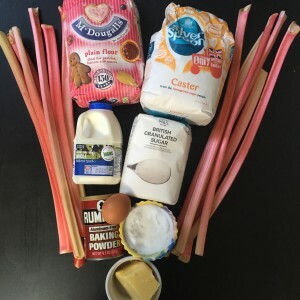 Bake in the fully preheated oven for 15 minutes, then reduce the temperature to 180ºC/350ºF/gas mark 4 for about a further 30 minutes, or until the top is crusty and golden and the rhubarb soft and juicy. Remove the pan from the oven and allow it to sit for a few minutes. Put a warm plate over the top of the sauté pan and turn it upside down so that the pie comes out onto the plate. Be careful of the hot juices, they will be absorbed by the pie. 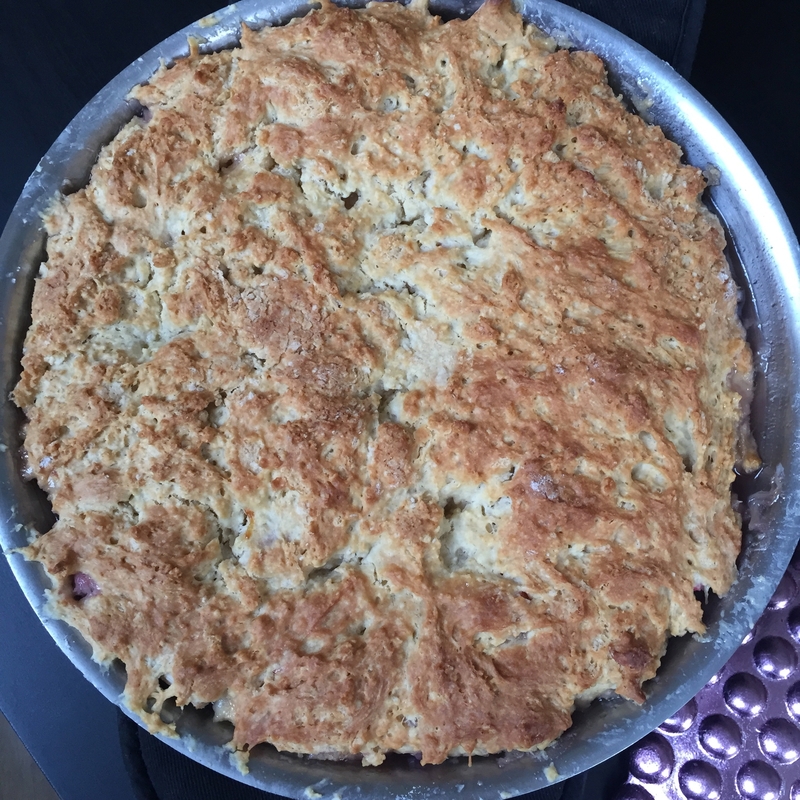 I had American guests here for dinner and served them this pie, which they loved! 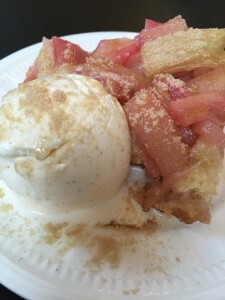 Except they wanted it with vanilla ice cream instead of the freshly whipped cream. But I sprinkled with the brown sugar and it really looked so pretty! Truth be told, anything Darina makes is perfect in my book! And this recipe is no different. I could write a post a day on her and not make a dent in the admiration I have for her. A woman in her 60’s who eats butter, sugar, cream, meat, all the things “experts” say not to eat. And yet she is as beautiful, vibrant, and energetic as the day she stepped foot in the Ballymaloe House to work under the tutelage of the legendary Myrtle Allen. Knowing the humble Darina, when she finds out that I have done a Woman Crush on her she will turn to give credit to Myrtle, the matriarch of the Allen clan and one of the founders of the Slow Food Movement. As well, Darina will say that all of the achievements are because of the T.E.A.M. My own acronym for “Together Everyone Achieves More” fits here as there are gardeners, teachers, office staff, housekeepers, as well as the students, literally hundreds of people who make it all work. 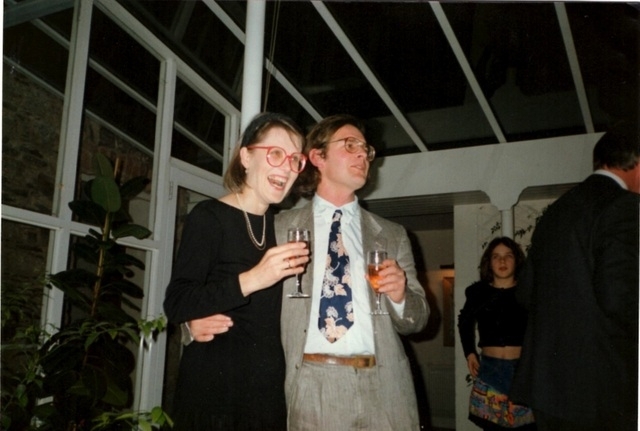 In fact Rachel Allen (Darina’s daughter in law and also a #WCW recipient) as well as Darina’s brother Rory O’Connell, both principal teachers at the school, are two of my all time favorite people! But let it be said, as it was the night the top photo was taken, “with the woman who started it all” none of this would be possible! I love you Darina! Thank you for being YOU!